The Hershey's Chocolate Candy Bar Cake is perfect for any chocolate lover on your gift list. The Hershey's Chocolate Candy Bar Cake is perfect for any chocolate lover on your gift list. 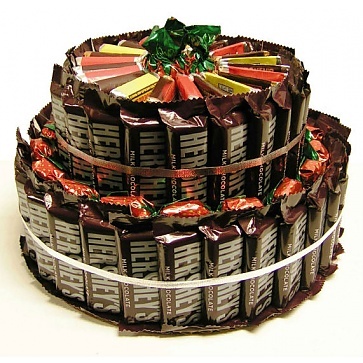 This candy bar cake is packaged on a cake board and is wrapped in a cellophane bag and tied with ribbon.